The market for financial services is changing fast. 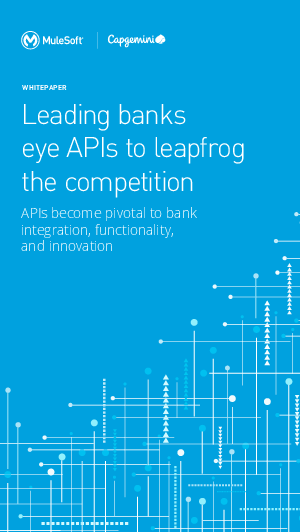 To evolve, banks are transforming their organizations into digital ecosystems using APIs. APIs have emerged as critical enablers to help financial services firms meet new consumer expectations. Through collaboration with fintechs, banks will use APIs to add new functionality from business partners and deliver internally-developed service offers to partner value chain and ecosystems.